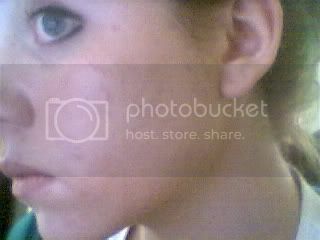 I made a timeline from when my skin was normal (just 4-5 months ago.. some pictures listed are almost a year old though) to very very severe painful cystic acne covering my face. 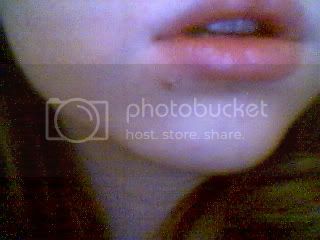 ^I actually COMPLAINED about my skin there. 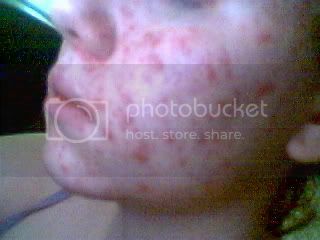 Here's when I came OFF of the regimen and tried to use "natural products"
The same day I got strep throat a month and a half ago, my skin exploded into the worst cystic acne i've ever experienced in my life.. it turned like this in a matter of just a few days. Needless to say, I stopped going to school, I stopped hanging out with all my friends, and I icolated myself in my house. I wont even go through a DRIVE-THROUGH somewhere. 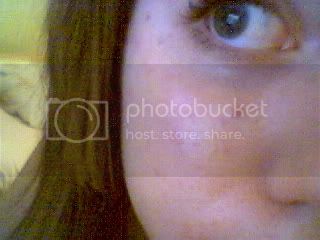 I cry my eyes out each day in both physical and emotional pain.. I can never get a good nights rest because my face hurts so bad and just washing my face takes at least 20 minutes because of the pain. My family and I believe that a lot of my acne might be a bacterial infection of some sort rather than acne, since this happened at the exact same time I got strep. I really hope accutane saves my life. I can't wait to experience clear skin again and be able to go out and have fun. I want to be able to sleep well again. Interests: football,mates,women,movies,books,nights out,drink and of course clear skin! 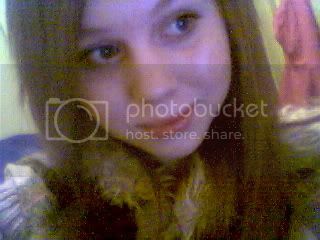 Interests: Movies, books, working out, swimming, playing pool, and meeting new people. I like going to parties and just hanging out, as long as I'm around people. Things will get better Mandy. Accutane will give you clear skin, all you have to do now is wait. I was on tane for 4 months and I just finished my course. I'm clear! It's so nice to go from bad skin to clear skin. Aww Mandy that is some deterioration. Keep going, everything WILL be alright in the end, give me a shout if you need anything k? You know I'll be here for ya, hon. 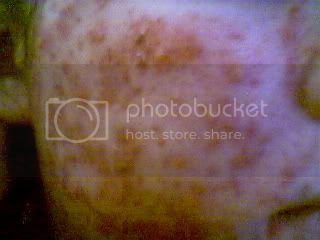 You do look like you have impetigo.....Which will clear up if you are given the right antiboitic (having it cultured was a great idea....you'll know what your dealing with). Thanks Kat :wub: you've been so supportive through my hard times so far, I appriciate it so much. Thanks! Yeah... 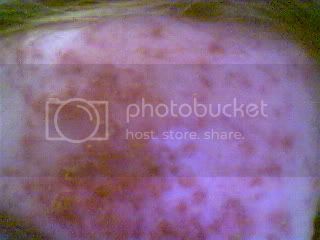 I'm still convinced that some of this is impetigo... epsessially since this happened when I got strep. 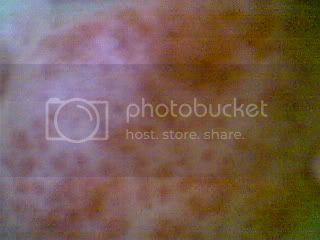 What the webcam pictures aren't showing is a lot of crusting i'm getting. 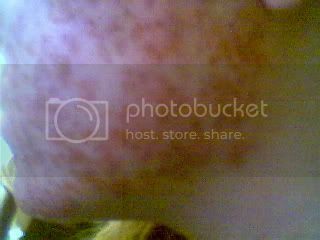 You can see some crusting in some of the pics... but not as much as I actually have. Best of luck with Accutane. Well, I am glad you are getting on Accutane. This is kind of eery in a way because back in the winter I had a similiar experience. I went from literally clear skin to what you were dealing with when you dropped Dan's regimen in a matter of days, I am not kidding - 5 days from 4-5 spots to 40 or so. 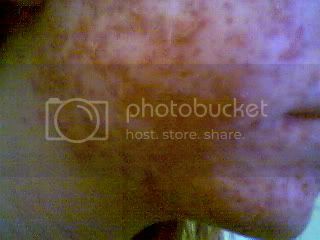 Luckily, I did not progress worse as I got on antibiotics BUT, it took 3-4 months of ups and downs and 3 rounds of different antibiotics for my skin to clear and I still have some red marks. Now I am on Bactrim and this week my cheek has started to flare in the *exact* manner that it did before I was blasted like you in a matter of days. Needless to say I am on pins and needles and checking the mirror by the hour. I started taking more Bactrim myself, now 4 pills a day (but these are the reg strength so it is really just like DS x 2). If it starts erupting like it did before I am going into the derm to ask for Accutane on MOnday. My question to you is - how come you waited until this point to try Accutane? Are you nervous about it OR did your derm not feel it wasn't severe enough until now? Also, are you going to be taking an antibiotic to help with the IB? mandy..wow..the EXACT same thing happened to me!! i start accutane next wednesday. maybe we could keep in touch? Thank you Soul! 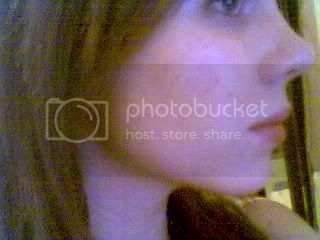 Well here's my little accutane story--- I've wanted accutane for a couple years now actually Ever since my friend went on it and she looked AMAZING when she was done. I stuck to the regimen though and it kept my acne at bay for the most part. Then, I came off of the reg and wanted to try something "natural"... that didn't work for me and my skin was getting worse by the day, so I figured that I was having a bad reaction to the products I was using (and that maybe my skin was breakout out from stopping the regimen.).... Finally, I asked my parents to take me to a derm, which the gladly wanted me to go to one. We kind of held it off for a bit to see if my skin would clear up anymore. So basically I wasted over 2 months of unncessecary waiting... I SHOULD be on tane by now in my opinion... oh well, less than a month now. i hope all goes well mandy. Wow you ended up getting a staph infection too? I swear, that is the only explaination I can think of of why my skin exploded within a matter of a couple days. I HAVE to have impetigo. Im glad you got it under control.... what exactly is estrogen replacement? Anyways, good luck with accutane :D For sure keep me updated and i'll do the same. Aww Mandy, I had no clue you were going through all of this. You are such a beautiful girl with a great heart, it really kills me to see you fight through this. But you have to keep fighting and it WILL be worth it in the end. 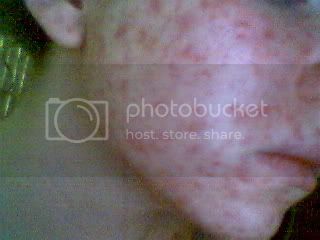 Accutane will help you - it was a life saver for me! Keep us updated on the test results from the clinic. And just remember, you are not your skin care problems! Aww Mandy, I had no clue you were going through all of this. :comfort: You are such a beautiful girl with a great heart, it really kills me to see you fight through this. But you have to keep fighting and it WILL be worth it in the end. I'm sorry this has happened to you. Best of luck and I hope Accutane does wonders for you so you can get back to all the fun things you miss. I really do hope this works for you, and if you need anything, just send a PM my way. That is not just plain old acne. It could be strep impetigo since you'd just had the strep throat. It WILL be cured and you will feel ever so much better in days once you get those final culture results!! !